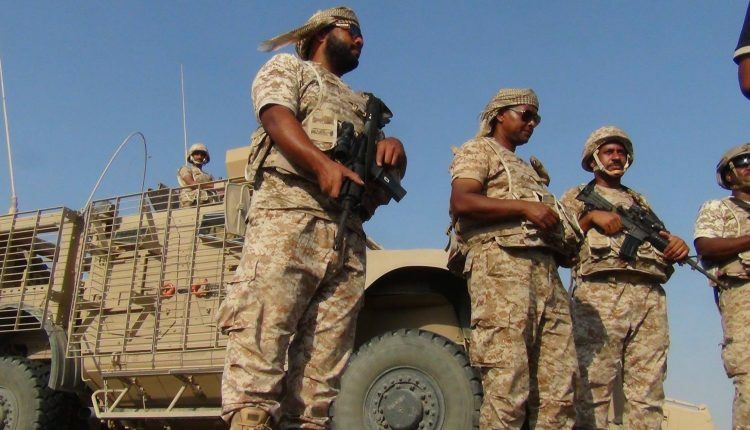 Aden city and other southern provinces, under the control of UAE, witness chaos and insecurity situation amid the spread of the Takfiri groups with expansion of their activity. The UAE occupies part of Yemen’s 13,000-year-old civilization is one of the wonders of the war in Yemen, a UN consultant said. “One of the wonders of the World, the wonders of the war and conflict in Yemen, is that the 50-year-old UAE, which was called the coast of Oman, today occupies and dominates a large area, islands, coasts and ports of Yemen, which the age of its civilization and its ancient history is approximately 13,000 years ” said Marianne John, advisor to the UN Security Council for Middle East Affairs. She pointed that UAE prevented Hadi from returning, supports separatist militias and terrorist cells, and occupies islands, ports, coasts and airports. Mohsen, son of Yemeni lawyer and human rights activist Huda al-Sarari, died of his wounds on Saturday in Yemen’s southern port city of Aden.The lawyer al-Sarari is interested in affairs of detainees and those who were forcibly disappeared in UAE-run secret prisons in Aden.Al-Sarari appeared last year in the first report of the US Associated Press Agency on the secret prisons run by the UAE forces in Aden and Hadramout. Head of the General Authority for the Protection of the Environment Abdel-Qader al-Kharraz said that United Arab Emirates (UAE) forces tried to spoil and get rid of an environmental diversity in a Socotra Island, saying that UAE ship arrived at the archipelago carrying dangerous and detrimental plants, adding that the plants have a harmful impact on biological diversity of the archipelago. Yemeni activists said “the UAE is exploiting the people’s needs imposed by the war and the blockade on Yemen in a provocative way to promote for its occupation activity, symbols and leaders.”Activists circulated two pictures showing the UAE flags and leaders in the areas of relief aid distribution to the extent of covering on anything indicates to the Yemeni state. The United Arab Emirates bought around $1.8 billion worth of American arms at an Abu Dhabi military exhibition. In an opinion piece published by The Washington Post on Wednesday, Sheikh Meshal bin Hamad Al Thani said Riyadh and Abu Dhabi are busy cutting deals with al-Qaeda elements operating in Yemen instead of making efforts to restore peace to the Arabian Peninsula state and end the humanitarian crisis of their own making there. Israeli newspaper, Haaretz, confirmed that one of the most prominent manifestations of rapprochement between Israel and Saudi Arabia is intelligence cooperation, and that Saudi Arabia, the UAE and Israel are always sharing a lot of intelligence on the security risks described by Iran. Haaretz newspaper pointed out that the Israeli Prime Minister, Benjamin Netanyahu, sought to defend, Mohammed bin Salman, in the wake of the assassination of Khashoggi, noting that Netanyahu is betting on the role of Riyadh in the success of Trump’s strategy to isolate Iran.